Shipping trade stagnated at the beginning of the 1700s, with the low point being reached in 1716-1718, when not a single foreign vessel entered the harbour. The low level of shipping activity continued into the start of the 1800s. In 1840-41, the slightly out-of-date harbour was modernised. The renovated harbour was awarded a Royal Harbour Charter, issued on 8 September 1852. 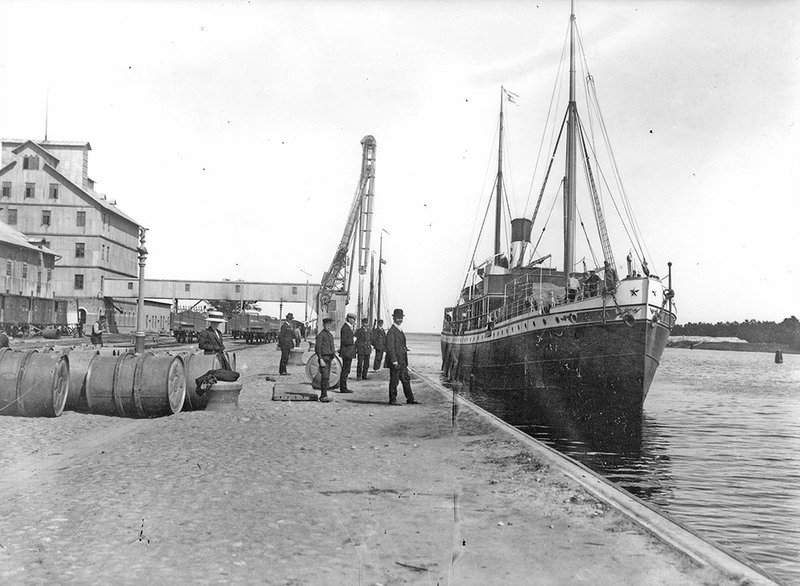 In the latter half of the 1800s, further improvements were carried out on the harbour. From 1895-97, the harbour received a comprehensive overhaul that involved the approach channel being both widened and straightened. Employment in the area grew in step with the increase in harbour traffic, and in 1894, 30 or so workers joined forces to form the first trade union in Åhus. In August 1898, 142 harbour workers formed a co-operative and took over all loading and unloading work. The stevedores’ union went on to become the longest-lasting co-operative workers’ union in Sweden, remaining in existence until 1941. New additions to the quay installation continued into the new century. After the hiatus in shipping caused by WWII, business began to pick up again in the second half of the 1940s. In 1955, another extension for the harbour was pushed through and, at the same time, funds were found for two new cranes. In the 1960s, the Port of Åhus was a typical import harbour. The volume of cargo unloaded was four times that of the volume loaded. Heating oil became another important product to enter Sweden through the harbour, and a new oil depot was completed in 1966. During the 1970s and 1980s a range of new businesses linked to the harbour were established. The history above is largely drawn from the Municipality of Kristianstad’s detailed plan for the harbour area dated 2000-01-05.